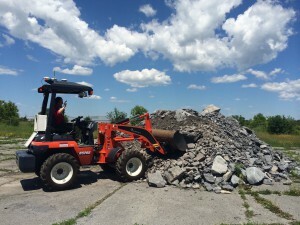 There are very few robot tasks that require as complicated an interaction with the environment as the autonomous excavation problem for fragmented rock. Not only does the mobile robot have to regulate its motion so as to effectively penetrate the rock pile, but it must also actuate its boom (manipulator) and bucket (end effector) so as to fill the bucket at every pass. Fragmented rock is not homogeneous in size and composition, can be wet and sticky—or dry, depending on local factors—and it inherently moves and exposes new hidden material that is not visible prior to executing the excavation process. 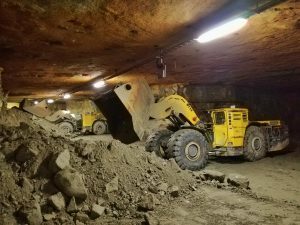 Despite a large body of research and engineering work in robotic excavation, spanning decades, commercially viable systems are still in their infancy. 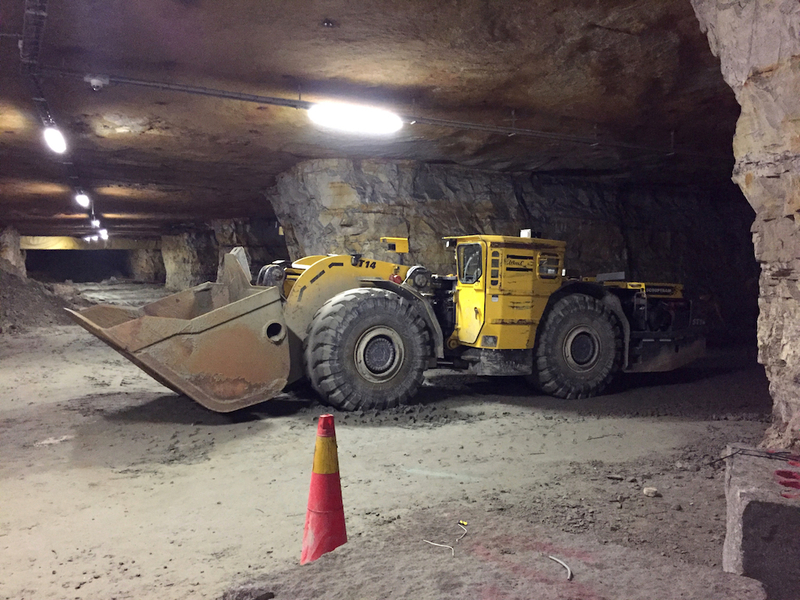 Our research in robotic excavation has focused on automated loading of fragmented rock for underground load-haul-dump (LHD) machines, although we have also conducted experiments using small surface wheel loaders. 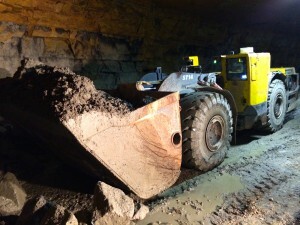 We have devised an admittance-based excavation control strategy that, in extensive field trials, has proven to be an effective approach to autonomous excavation. 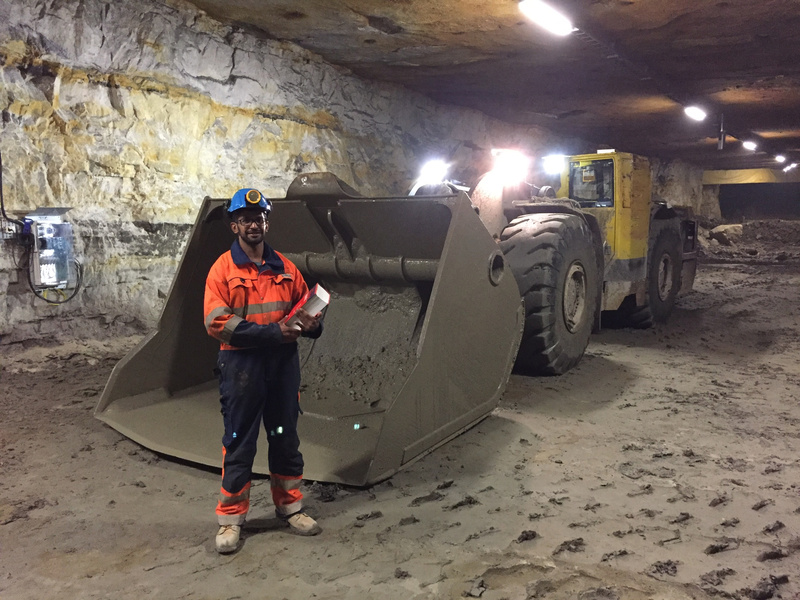 More recently, we have worked with Epiroc AB (Sweden) in the development of a learning-based admittance control scheme that adapts to changing pile conditions and can automatically track a desired bucket payload. A. Lopez-Pacheco, Fully loaded: Atlas Copco feels its way into autonomous loading for LHDs, CIM Magazine, December 2016-January 2017. A. Craig, Researchers rock out with robots, Queen’s Gazette, May 12, 2015. J. A. Marshall. Towards Autonomous Excavation of Fragmented Rock: Experiments, Modelling, Identification and Control. 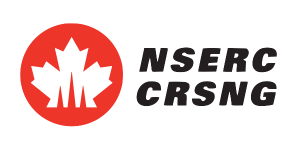 M.Sc.(Eng.) Thesis, Department of Mechanical Engineering, Queen’s University, Kingston, ON, August 2001. 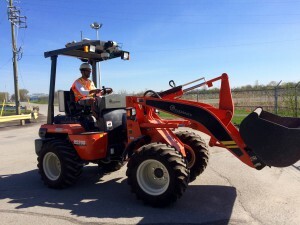 Offroad’s robotic R520S loader is autonomous and equipped as a result of generous support—both financial and technical—from CFI, NSERC, and Clearpath Robotics.